Based on LOTTE's code of behavior, we'll maintain and develop the relationship with our stakeholder and make an effort to contribute to the coexistence and the sustainable growth with society. FSSC22000FSSC22000 is an internationally accepted food safety system certification. We maintain proper sanitation and production process. HALAL certificationWe offer halal-certified products and manage to make products which more customers can select safely. Monitoring systemWe manage monitoring system. We facilitate cameras at the entrance of the factory, etc. to allow only authorized personnel to enter the factory. ISO9001ISO 9001 is the international standard that specifies requirements for a quality management system. 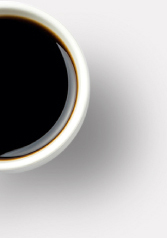 We consistently provide food safety that improve customer satisfaction. TraceabilityWe determine the critical control points which affect the quality, establish the critical limits through specified stages of receipt of raw materials, production and distribution and record it so that we can trace the history of all raw materials. We realize LOTTE group mission "We enrich people's lives by providing superior products and services that our customers love and trust." by complying with all related laws and regulations, and keeping and developing those certification. The disease rate of cavity in Vietnam is about 90%, this situation isn't good. 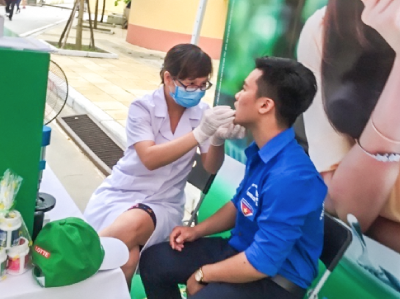 As our contribution for it, we started free dental check event at Vietnam universities and shopping malls with VOSA from 2015. In that event, we inform everyone the importance of caring the teeth, and provide the opportunities to know the way of dental care by VOSA dentist's advice. Vietnam economy development is in good situation, on the other hand the environment problems increase also. 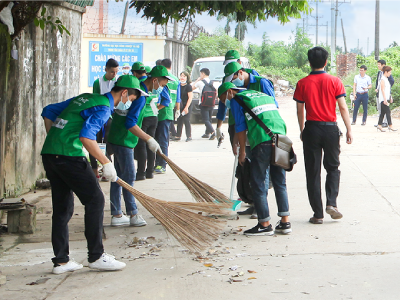 As our contribution for it, we started clean-up activities with Vietnam Youth Union at campus and around universities under the message “Let`s protect our beautiful green”. Through this activity, we hope the youth bearing the future to have environmental awareness. 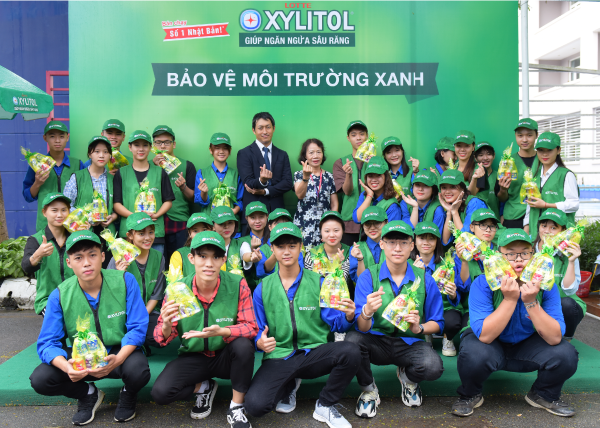 Lotte Vietnam put the importance on the sound development of children. So we started this sponsorship from 2018 as part of our CSR activities. 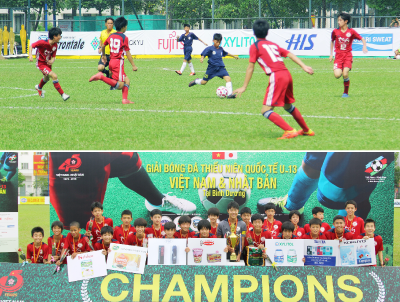 We hope to make a contribution to a sound mind in a sound body of the children, and the future of vietnam football through this activity.